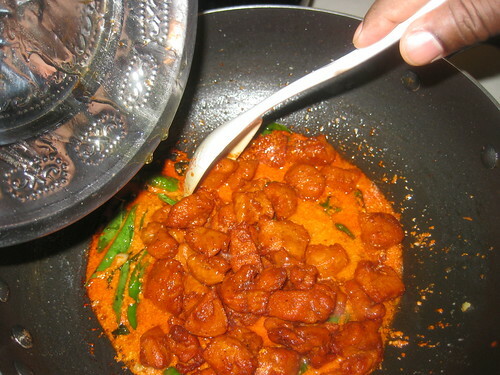 In a bowl mix chicken,corn flour,maida,ginger-garlic paste,red chilli powder,pepper powder,soya sauce,turmeric powder ajinomoto ,egg and salt mix well.marinate the chicken for 5 to 6 hours in the fridge. 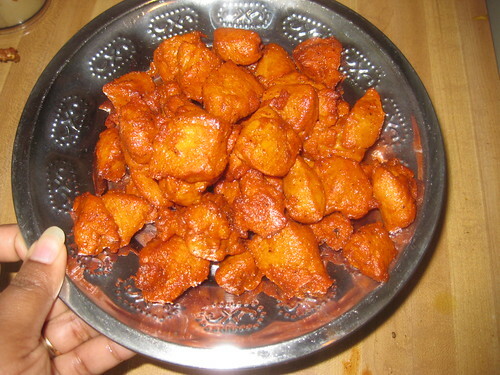 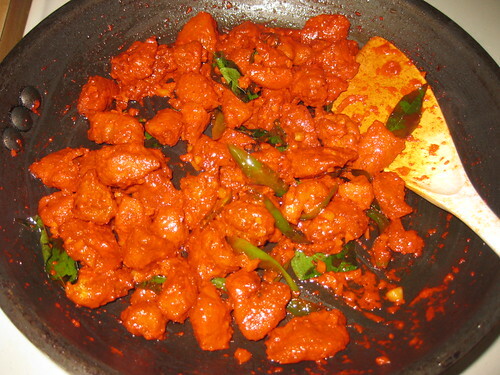 Heat oil in a wok for frying.Deep fry the marinated chicken pieces in batches till it is light golden in color.Remove excess oil with the help an absorbing paper.Keep it aside. 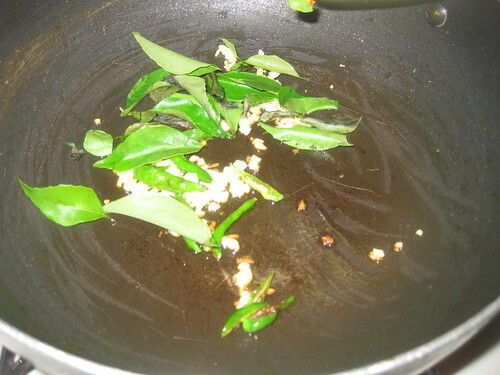 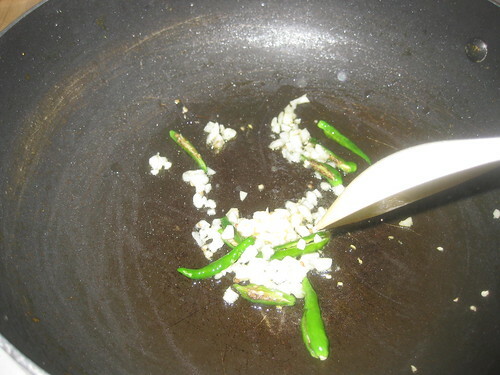 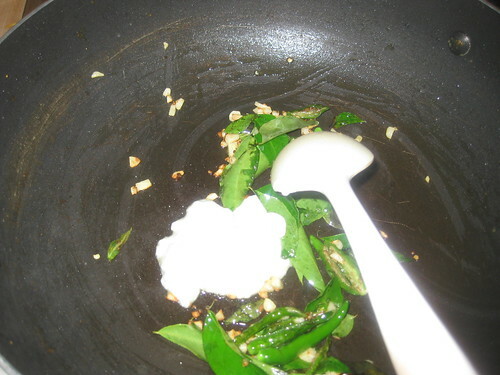 In a skillet,heat 2 tbs oil.Add chopped garlic and green chillies,curry leaves fry for 5minutes. 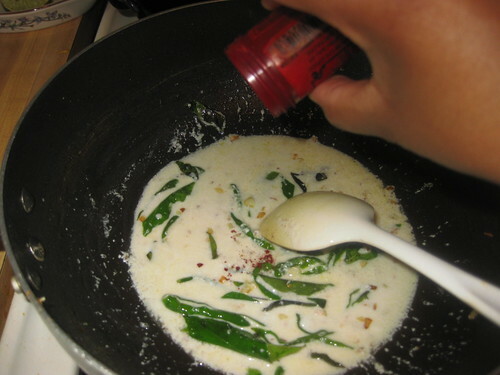 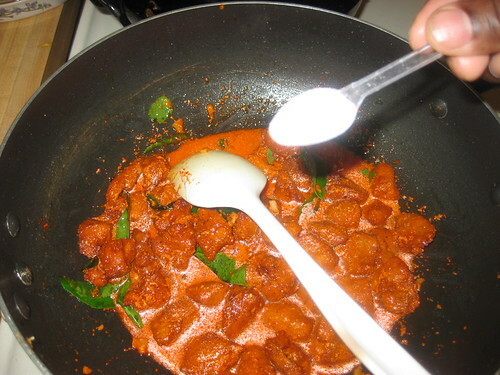 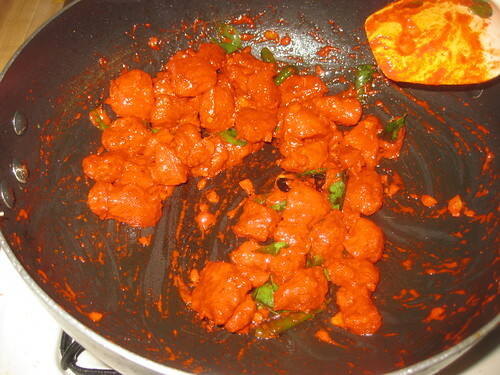 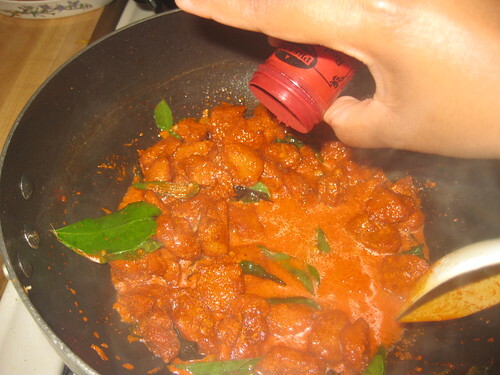 Now add thick curd , food color and salt,ajinomoto stir well .Now fried chicken mix well. 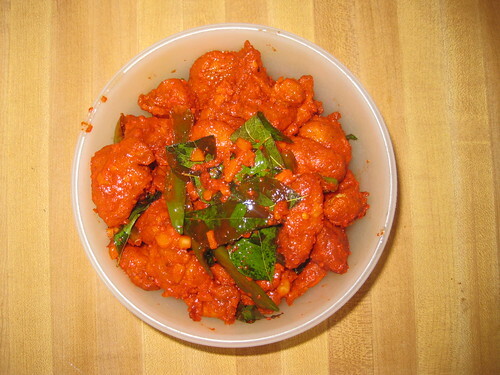 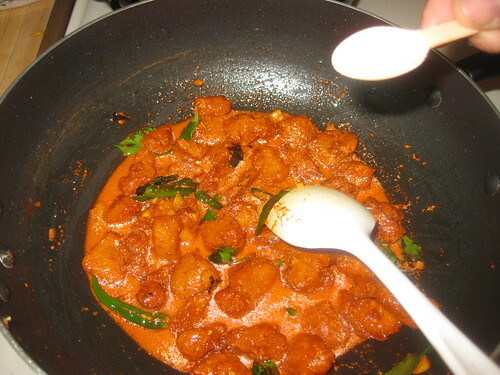 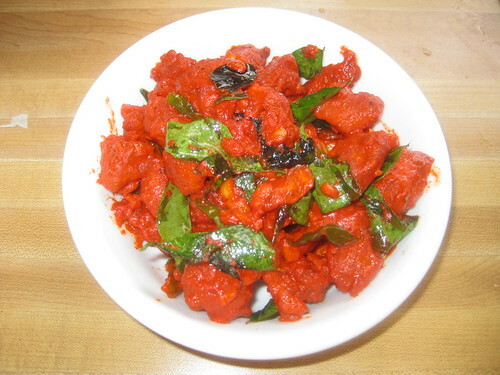 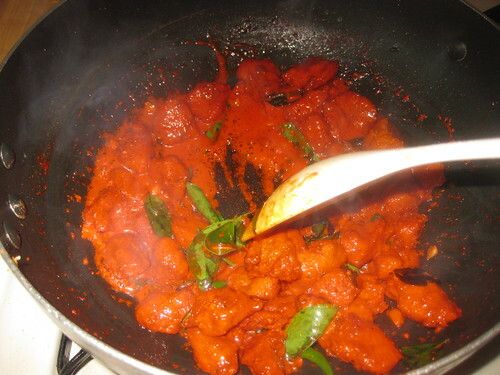 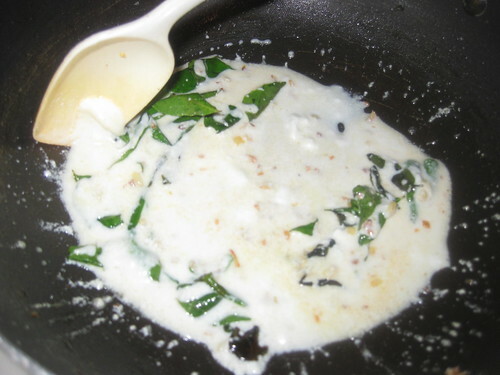 Continue cooking until the chicken absorbs the curd completely and mix well. 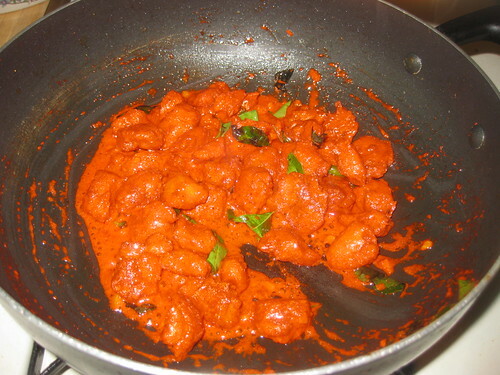 Goes well with rice,briyani and it is a good starter too.